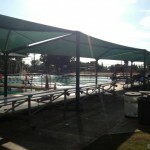 Free on Maui: Swimming Pools! Swimming is big on everyone’s schedule when visiting Maui. So is snorkeling, scuba diving, sunbathing, even swimming with sharks. Swimming laps… perhaps not so much. But if you ever find yourself on Maui and feeling like doing some laps, you’re in luck: there are several swimming pools on the island that are well maintained, hardly crowded and, best of all, free! 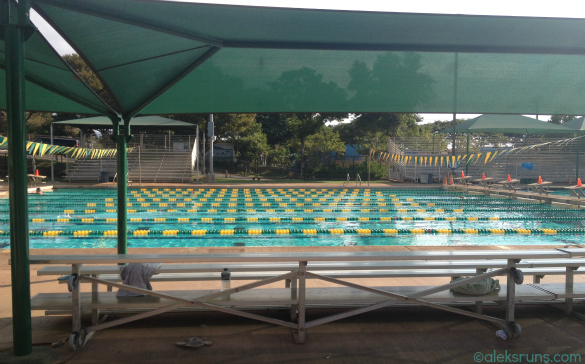 We drove by one yesterday and I immediately looked it up: the Kihei Aquatic Center has not one, actually, but three pools: an Olympic-sized competition pool (50 m), a training pool (75′ x 81′) and keiki rounded pool (63′ x 26′). I was expecting at least a nominal fee of $6 or something, but no: you walk right in. Bring your own lock if you want to leave your things in the locker room (there are showers, too). But be warned: the lifeguard on duty mentioned that there have been some thefts from the locker rooms and it’s actually safer to leave your bag by the bleachers, where you can keep an eye out while swimming. 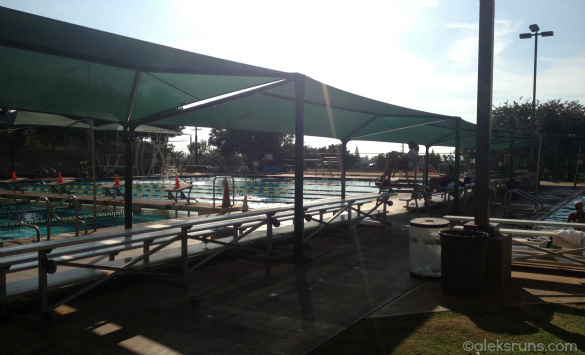 Lahaina: competition and warm-up/children’s pools. 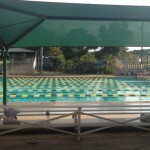 Upcountry: Three pools: a six-lane 50m x 45 ft Pool with 1m diving boards 4–13ft deep; 40×40 ft teaching pool 3–3½ ft deep; and a small 1 ft deep keiki (kids’) pool. Kokua: 10 lane, 25 yard 4-5 ft deep. Kahului: 6 lane, 25 yard, 4-9 ft deep. Wailuku: 3 lane, 25 yard, 3½-9 ft deep. Morning: 75 minutes yoga by the beach. More on that tomorrow. Spending that long in a gym going in circles like a hamster working out on the elliptical and stationary bike is so boring, it should be outlawed. That’s all I have to say.